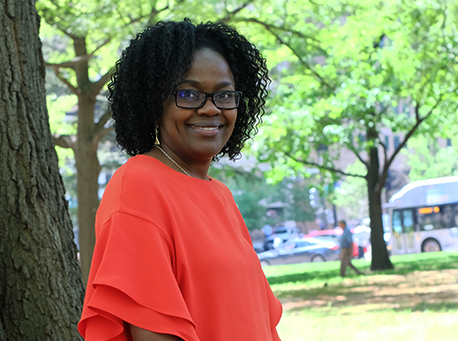 As a Public Policy Associate, Marie supports our policy and advocacy efforts, and leads our Diversity, Equity, and Inclusion (DEI) work. 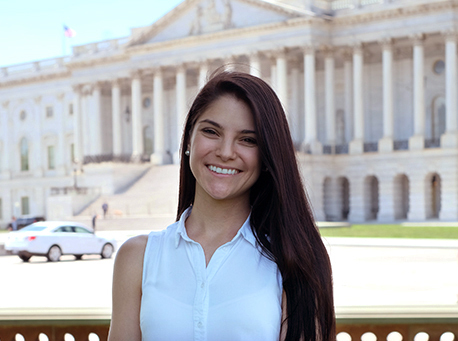 Prior to joining The National Assembly, Marie served as a Legislative and Regulatory Affairs Intern at The Humane Society of the United States here in Washington, D.C., and as a Community Organizer in Gainesville, Florida. Marie relocated to the DMV after receiving a Master of Political Science (MA) with a focus in Public Affairs from the University of Florida. She also has a Bachelor of Arts in Political Science (BA) from Florida Gulf Coast University, located in her hometown of Fort Myers, Florida. Outside of the office, Marie is a yoga instructor, lover of all animals, and music enthusiast. She currently lives with her two cats in Arlington, Virginia. 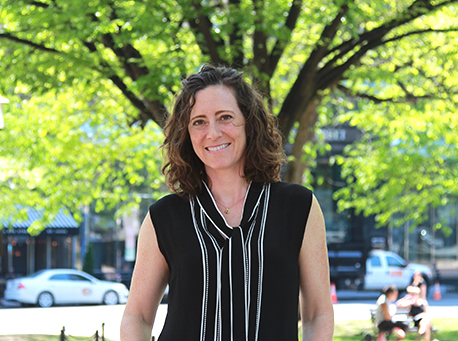 As director of the National Reframing Initiative, Bridget Gavaghan is helping communities across the country tell the public a new story about human services, one that cultivates a deeper commitment to the programs, policies, and services that are essential to creating a healthy, vibrant society now and for future generations. Relying on the FrameWorks Institute’s groundbreaking research, Bridget conducts trainings and workshops on this new storytelling approach, designs and guides the implementation process for partner organizations, and develops tools and resources to help human service organizations and supporters fully utilize reframing in their advocacy and communications. Bridget has spent her career promoting effective strategies designed to yield significant societal benefits. Prior to joining the National Reframing Initiative, she led Prevent Child Abuse America’s public policy program where she collaborated on several successful initiatives, including a sustained, multiyear coalition-building and advocacy campaign that resulted in a significant federal investment in evidence-based early childhood home visitation programs. Bridget began her career at United Way of America, where she co-chaired national coalitions and engaged the organization’s network in advocacy on behalf of a range of public policy priorities, including 2-1-1, federal human service funding, and charitable giving tax incentives. Previously, Bridget directed advocacy communications projects at Sustain, a national nonprofit that was dedicated to environmental and social justice issues. Bridget graduated from the College of William and Mary, where she studied history and classical singing. Raised in Virginia, Bridget now lives in the beautiful city of Chicago with her husband and their two cats. She finds few activities more joyful than running along Lake Michigan and has recently started volunteering with Girls on the Run, an organization that uses running to help young girls build confidence, healthy habits, and healthy relationships. Melissa Reifler has worked for non-profit membership and advocacy organizations for most of her career. Prior to joining NHSA, Melissa worked in chapter/component relations for both the American Society of Clinical Oncology and the Brady Campaign to Prevent Gun Violence. As Membership & Business Development Associate for National Human Services Assembly, Melissa develops strategies and systems to engage current members and attract new members, supports member growth and engagement, and helps increase membership in and utilization of PurchasingPoint®. She is a key part of the team that manages member accounts, provides customer service, and develops member programs, services, and events. Melissa has a degree in Political Science and is an enthusiastic supporter of progressive causes. She lives in Washington, D.C.
Lee Sherman is the President and CEO of the National Human Services Assembly and National Assembly Business Services, Inc., a wholly owned for-profit subsidiary of the National Assembly which operates PurchasingPoint®. In his role as President & CEO, he leads the strategic direction of the organization, with a significant focus on building and maintaining key relationships with funders, members, and partners in the sector. 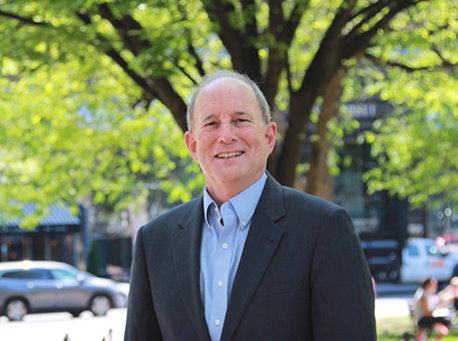 Lee has more than 25 years of executive-level experience in both the nonprofit and corporate sectors. From 2009 to 2016, Lee served as President and CEO of a National Assembly member organization, the Association of Jewish Family & Children’s Agencies (AJFCA, now known as the Network of Jewish Human Service Agencies), a network of over 125 human service providers in the U.S. and Canada. Under his leadership, AJFCA more than doubled its corporate sponsorships, created a new civic engagement initiative for next generation leaders that serves as a national model for organizational sustainability, and successfully advocated with colleague organizations for a $12.5 million federal grant for services to Holocaust survivors. Lee came to AJFCA from Associated Catholic Charities in Baltimore, Maryland, the largest human services agency in the state, where he served as Director of Strategic Development in the Community Services Division. He has served in various leadership roles in the community over the years, including on the Board of Directors of Nonprofit Leadership Alliance, Jewish Family Services of Central Maryland, Jewish Community Services, the Center for Jewish Education, and THE ASSOCIATED: Jewish Community Federation of Baltimore. Lee is also currently Board Chair of the international NGO, Yahel, a service learning program in Israel. Prior to being selected as President and CEO of NHSA, Mr. Sherman served on the National Assembly’s Board of Directors for multiple years. In her role Ruth oversees the financial reporting and analysis to support the group purchasing program PurchasingPoint®, by analyzing data on millions of dollars of purchases made by members. She also provides ongoing reports to management that lead to actionable insights to accelerate profitable growth of the program. Ruth also manages the strategic account management process of the program as an account manager for several key accounts by providing strategic planning, webinars, and representing the organization at member conferences and trade shows. She also oversees the development of current and future phases of the PurchasingPoint® portal. She previously worked at Sodexo as a Manager, Strategic Planning and a Business Analyst at Microsoft. 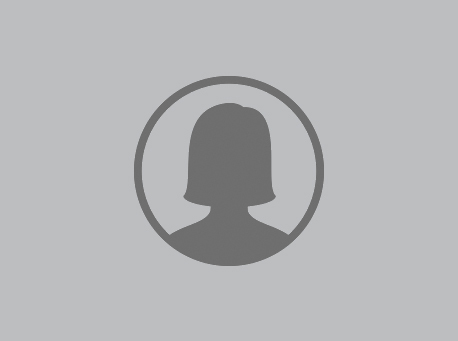 Ruth holds a Master’s in Business Administration with a concentration in Finance from Dallas Baptist University and a BS in Management Information Systems from Texas Christian University (TCU). She also holds a certificate in Project Management from Georgetown University. Michelle Sims is the Director of Marketing for the National Human Services Assembly. In her role, she oversees the marketing and communications activities in the organization relating to any program, initiative, or event that the National Assembly is a part of. Michelle is responsible for marketing activities ranging from social media administration, to website maintenance and content generation, to graphic design and marketing collateral, and more. She is a core part of the team that runs the National Assembly’s group purchasing program, PurchasingPoint®, providing marketing expertise and guidance to the program. She also joins the leadership team for a number of high-level strategy and operations initiatives, and leads major marketing projects, such as the recent website redesign and an ongoing CRM development project. 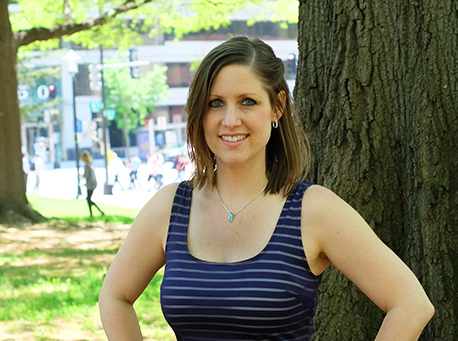 Originally from Indianapolis, Indiana, Michelle relocated to the DC-area in 2014 to pursue a career in nonprofits, where she joined the team at the National Assembly as Marketing Manager for PurchasingPoint®. Previously, Michelle worked in higher education and for-profit small business in a variety of marketing and operations roles. She comes to the nonprofit sector with over 13 years of experience in marketing, graphic design, and business management. Michelle holds a Master of Public Affairs (MPA) from the School of Public and Environmental Affairs and a Master of Arts (MA) in Philanthropy from the Lilly Family School of Philanthropy, both at Indiana University. Michelle also has a Bachelor of Science in Business Administration from the Kelley School of Business at Indiana University. She currently lives in Maryland, and enjoys hiking, reading, or gardening in the great outdoors in her spare time. 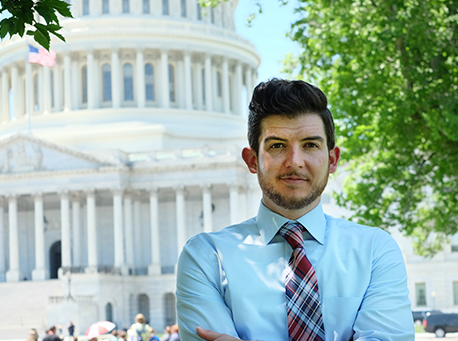 Brandon currently leads the National Assembly’s public policy and advocacy team and manages grant-funded projects to help build the sector’s capacity to engage policymakers in federal human service issues. He also oversees the National Assembly’s Washington Policy Council and National Collaboration for Youth. Brandon first joined the National Assembly as an AmeriCorps*VISTA fellow in 2015. During that time, he completed a year-long research project about state-level implementation of the Two-Generation approach to building family well-being. Brandon previously spent four years with a nonprofit membership association of organizations participating in the U.S. foreign-trade zone program, which is administered by the Department of Commerce. Originally from Charlotte, North Carolina, Brandon received his bachelor’s degree from the University of North Carolina at Chapel Hill, earned his Juris Doctor with honors from the Indiana University Maurer School of Law and Master of Public Affairs from the Indiana School of Public and Environmental Affairs (SPEA). During law school, Brandon provided legal representation for students at IU’s Student Legal Services; spent summers at the ACLU, Government of the District of Columbia, and Congressional Research Service; and served as a judicial intern with the Indiana Supreme Court. Outside of his work at the National Assembly, Brandon revels in accumulating miles on the Appalachian Trail, riding his steel road bike, drinking whole-hopped IPAs, and attending concerts of bands no one has heard of or likes. He also participates in five adult intramural sports leagues, winning numerous league championships and individual honors.